6 months old now and some nice moss growing on this Spring addition to Rabbit Run Cottage! My high school mascot was the White Rabbit. 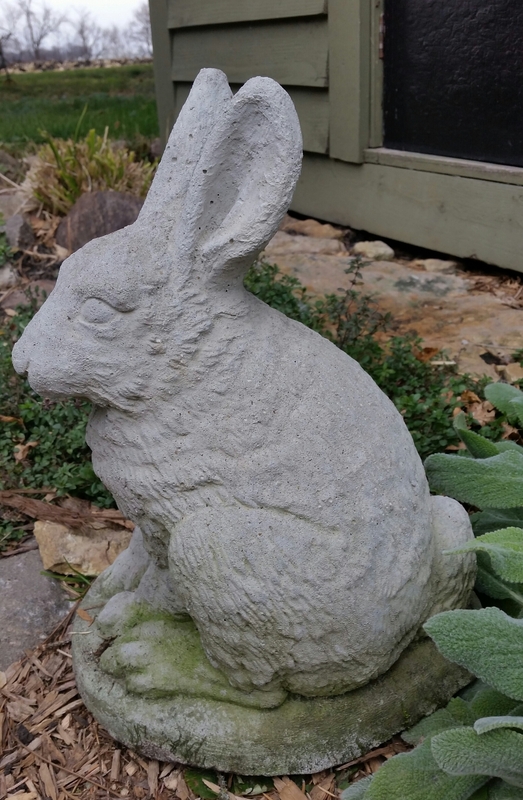 So I have a certain fondness for rabbits, although not when they are eating my flowers. Makes me think of the Jack Rabbits that lived up in Moorhead. I had never seen rabbits the size of those things! In the Winter when there coats are white and they are jumping in herds across the road in front of you, could be scary. We lived near a golf coarse and sometimes we would stop and count them! 300 one time we counted!! !